I recently had lunch with a good friend of mine. We chatted about various things including the impending arrival of yet another year. She also is an editor and is privy to what I call the "Journalist's Curse" – working so far in advance you never know what month it is and you feel like time moves at break-neck speed. • "Understand the New Motor Standards" – an article written by John Malinowski of Baldor Electric Co. The story notes that higher energy efficiency will be required for many AC motors starting this month. According to the article, "Motors manufactured after December 19, 2010, for sale in the United States are affected by the Energy Independence and Security Act of 2007 (EISA). EISA was passed by Congress and signed into law on December 19, 2007." 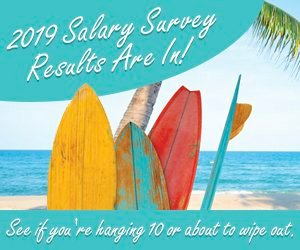 • "2010 Salary Survey: Clouds of Concern Begin to Clear" – CP's annual reader survey is always a huge hit with our audience. This year's report found respondents somewhat optimistic. They felt the worst was over in terms of downsizing. According to the article, "This year, 52% (860) of respondents are concerned about job security and 48% (778) are not compared to 58% who were and 42% who were not in 2009." An interesting comment from one respondent regarding working in the chemical industry – "You will not get rich but it will be stable for 20 to 25 years." • "Bio-Based Projects Blossom" – written by CP's editor-at-large, Seán Ottewell, this article points out that using renewable feedstocks to make fuels and chemicals is top of mind for several chemical companies. As the push toward environmentally sustainable alternatives grows, so will the popularity of stories like this one. • "Take Advantage of Fieldbus" – this article, written by Craig McIntyre of Endress+Hauser, explains the basics of digital fieldbuses and how they can improve performance, increase uptime and cut costs. It also covers potential pitfalls and best practices. In the world of increasing competition, it's no wonder this is a popular choice for readers. • "Readers' Choice Awards: The Bout is Over" – another audience favorite is CP's annual rundown of top technology providers in 48 categories, as voted by respondents. This year's poll was a huge success. Indeed, a record 1,265 readers told us which companies they considered the technology leaders. One reader comment summed it up best: "It comes down to reliability. Cheap products will rarely succeed in the long run."